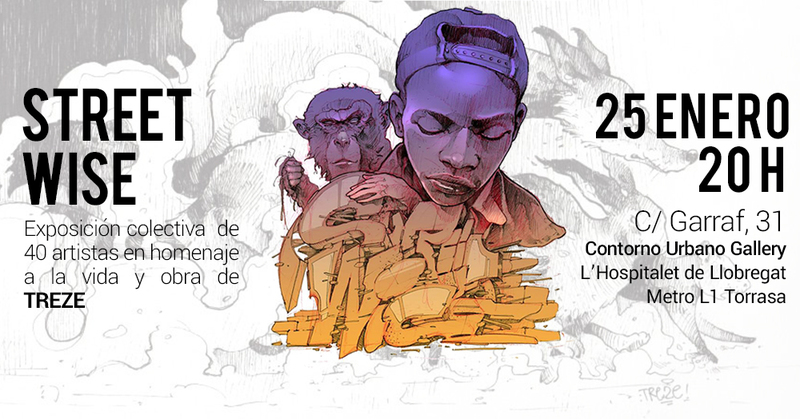 We are proud to host the exhibition “Street Wise” in the Contorno Urbano Foundation, in tribute to the artist Treze one year after his death. This event is organized jointly with family and friends of TREZE. This exhibition does not show TREZE’s works but it collects about 50 pieces made exclusively for the exhibition of around fifty artists. These pieces are the way to honor the life and work of this artist by friends and family. More than 40 works in honor of someone who resonated very strongly in the lives of many people and to whom we humbly want to honor and remember.